Twenty-six years ago in 1992, Stuart Baker founded Soul Jazz Records in London, England to draw “cross cultural connections between various music genres.” This included Brazilian music, dub, jazz, Latin, reggae, ska and soul. Many of these compilations, especially the reggae compilations were released to plaudits and praise. However, Soul Jazz Records weren’t content to sit on their laurels. Gradually, Soul Jazz Records started looking at other musicals genres ranging from Chicago House, electronica, post punk and world music. Since then, critical acclaim has come Soul Jazz Records’ way and they’re renowned for the quality of the compilations that they release. This includes their reggae compilations including Soul Jazz Records’ latest release Studio One Lovers Rock which features eighteen tracks. These tracks were recorded at Clement Dodd’s Brentford Road studio in Kingston, Jamaica which was where many of reggae’s biggest names recorded, including those signed to Studio One. Among them were Alton Ellis, Freddie McGregor, Horace Andy, Marcia Griffiths, Sugar Minott and The Heptones. They’re just some of the names on Studio One Lovers Rock, which in the late-sixties changed reggae. The lovers rock sound came to prominence in the late-sixties, and saw artists and bands fuse the then rocksteady sound with the sweetest of harmonies. They featured on covers of soul songs and even disco tracks. These cover of familiar songs portrayed love and harmony as two lovers sit side-by-side as the sun sets Kingston. Providing a soundtrack could be the eighteen songs on Studio One Lovers Rock. This includes disco mixes of Alton Ellis’ Tumbling Tears which opens the compilation and is joined by Carlton and The Shoes’ Let Me Love You and The Heptones’ My Ting A Ling. Despite being given a disco mix, the music is still soulful and romantic. That is the case with soulful, romantic sounding songs like Jerry Jones’ Oh Me Oh My, The Invaders’ Soulful Music, Sugar Minott’s Ghetto Girl and Marcia Griffiths’ Truly. They’re joined by Devon Russell’s dub-tinged My Woman’s Love which is a soulful paean which is followed by Billy Cole’s Rock All Night. A beautiful song and welcome addition is Cornel Campbell’s Didn’t I. Horace Andy’s Wanna Be Free isn’t the most romantic and is a tale of love gone wrong. Another beautiful and hopeful song is The Righteous Flames’ I Was Born To Be Loved which closes Studio One Lovers Rock, which is another lovingly curated compilation from Soul Jazz Records. They’ve been releasing top quality compilation for three decades, and Soul Jazz Records’ reggae compilations are some of their finest and most popular releases. The reggae realises have been released to plaudits and praise and widespread critical acclaim. 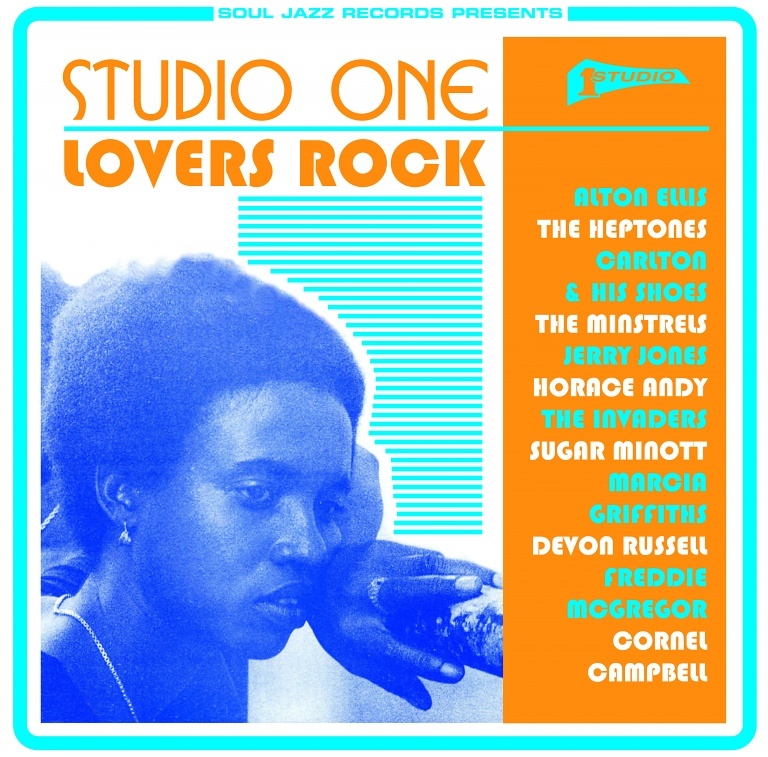 Studio One Lovers Rock is no different and features an all-star case who recorded Clement Dodd’s Brentford Road studio in Kingston, Jamaica and provided a timeless soundtrack that lovers the world over will enjoy even today. ← ABSTRACT ORCHESTRA-MADVILLAIN VOLUME 1.